Ever since the musical “Hair” in the 1960’s, spiritual people have equated the Age of Aquarius with a time of peace, love, and harmony among the people and planets. Yet, as we enter the second half of 2012, we are witnessing anything but planetary peace, love, and harmony. Instead we are seeing the largest global demonstrations of protest in history. There is a growing sense of economic dread throughout the markets of the world, and we are in the midst of a serious environmental crisis to boot. So where’s the love, Aquarius? What’s this “New Age” going to be about if not the peace, harmony, and love the hippies were singing about in the 1960’s? And, as if these questions aren’t difficult enough, what does this Aquarian “New Age” have to say about our personal, romantic love lives? With so much drama in the New Age is it possible to have a healthy love life? Before we dive in to this Aquarian conundrum, let’s refresh ourselves on some of the key Aquarian archetypes. In brief (and not an exhaustive summary): The image of the Aquarian constellation is that of the water-bearer in the sky. The Aquarian archetype is that of the divine rebel, the innovator, and the scientist. The 11th House, the house of Aquarius, is the house of groups, societal movements, wishes and dreams. Aquarius was originally given the planet Saturn as its ruler because, ironically, Aquarius engages with the Saturnian archetypes when rebelling and innovating new things. The planet Saturn refers to the structures, traditions, and authority figures, as well as the laws or customs of society. Saturn also refers to boundaries, limitations, time, space, and process. What could Aquarius rebel against but established traditions or authorities? And what good is innovation without previously existing tools, traditions, and boundaries? Hence Saturn was first given its rulership over Aquarius. It wasn’t until we discovered the planet Uranus that the archetypes of the rebel, the emancipator, and the progressive idealist were recognized for the first time in the collective consciousness. The archetype of the divine rebel is, therefore, nothing new. 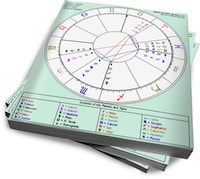 Historically, there are several great examples of the Aquarian archetype. There is perhaps nothing more Aquarian than the story of America. We liberated ourselves from the tyranny of an old monarchical structure (Saturn). We dreamed up the perfect, utopian form of government (democracy), and we rebelled for the sake of liberty and equality. This moment had been preceded by the Scientific Enlightenment and was accompanied by the French Revolution and many more successive revolutions, leading all the way up to the 1960’s and the current Occupy Wall Street movement. If the initial revolution was all there was to the Aquarian story, then we would have already created the perfect society and be living in the kind of New Age many people (from the founding fathers to the hippies) believed we would be. Unfortunately every age, even the revolutionary Aquarian Age, has its shadow sides. [ad]Understanding the Aquarian shadow side is often difficult for people enmeshed within the revolutionary spirit of the times. With Aquarius, the shadow side is that what is first revolutionary can later become the new corporate dogma. The spirit of revolution can be valued in and of itself, more than the incorporation of new revolutionary forms into healthy, grounded structures. Aquarius, above all else, values knowledge. Its core dogma, mantra, or religious creed might read: knowledge will set mankind free. Aquarius believes that if we see the way things truly are, if we pierce beyond the veil of dualism into the eternal and timeless forms, we will achieve enlightenment. This is an old story. In the biblical myths we might recall the angel Lucifer, the light bringer. In Greek mythology Prometheus, the Titan, or even Icarus (the son of the inventor Daedelus). All three characters strive to know the mind of God or strive to be “equal” with God. What all three characters forget is that striving after equality with God is based, at least in part, on a dissociative belief that one is separate from God or the Universe. All three characters, hence, attract the same mythic fate. Each one is cast down by the God(s) to earth. Lucifer falls to earth and henceforth represents the hubris of mankind: sin (to miss the mark). Prometheus is chained to the side of a cliff. Icarus falls into the ocean. All of these characters, in their heavenly aspiring, eventually came back down to earth—whether they liked it or not! In astrology, the elements of Air and Fire are representative of the yang; the upward aspiring, eternal, masculine, creative principles. The elements of Water and Earth represent the yin: the downward descending, material, dualistic and time-bound principles. Every religion or spiritual ideology that has at its heart the desire to be equal to God, to strive toward some unreachable equality with the gods, tends to suffer the same fate as these Aquarian fallen angels. The truth is that for any revolution to be lasting, it must have the compassion and willingness to come down to the earth. So too for our relationships and our love lives. For our love to be long-lasting during the age of Aquarius, it has to come down to earth! One of the most exciting features of this Aquarian Age we are living in is the spirit of revolution and innovation. With great bravery and courage, we can quickly aspire toward a new vision. What we need to take into account is that not every vision is feasible, not every vision is actually helpful, and the spirit of revolution can be just as tempting as a Big Mac to our lower urges. In my astrology counseling practice, I’ve noticed that many of us use “ideas or visions” to get into relationships, and when we find out that we liked the idea rather than the actual, earthy “reality” of our partner, we find another idea, or another partner, to liberate us. For example, recently while working at a festival I did a reading with a woman who has created several successful businesses in the south. They are all very hip community spots. Unfortunately, she did so with a husband she has grown to realize is not “down to earth.” At first, in the spirit of the same revolutionary ideas they used to launch so many new businesses and their marriage together, they thought their relationship was on the rocks because they were denying their essential sexual natures. They suddenly believed polyamory was the key to liberating themselves from feeling trapped within their marriage (notice the earthy Saturnian key word is “trapped”). Let me first say I have nothing against alternative partnership theories. In fact this past year I was enthralled by the HBO series Big Love, which takes a complex and intelligent look at polygamy in the Mormon communities of Utah. Still, I find this particular example from my counseling practice to be an excellent case of how the Aquarian Age often values shock, awe, and revolution more than it knows how to incorporate these revolutionary ideas into long-lasting, durable social tools and commitments. As soon as Aquarius starts descending to earth, we are often tempted to create a dogma or revolt from the earthy “cage” all over again. In order to stay in love in the Age of Aquarius we need to value the process of time and hard work that goes into creating healthy, durable relationships. The irony of the Aquarian Age, so focused on the “human spirit,” is how alone Aquarius can be. Aquarius can get so lost in the clouds of their ideas and their striving that they become ironically individualistic or alienated from others. The process of revolution generally moves very quickly and erratically. New innovations strike down like lightning, from one group to the next. Translating this to our love lives and relationships, we should beware of how isolating our greatest ideas of each other can be, and we should be aware of the way in which dreaming and aspiring toward the “next step” in our relationships can short-circuit what we are actually capable of experiencing or creating in the current, earth-bound moment. If we really want to create the next vision in our love lives—the next great partnership, the next phase of our romance, the next season of our lives together—then there is no better place to start than by narrowing our creative visioning down to our daily existence. What details or concrete actions can we take this afternoon, as opposed to this month? By limiting our focus, we bring ourselves into a less airy space, and from this place we can enjoy our ideas of each other in contrast to our experiences of each other. Sometimes we need to turn off the television, get off Facebook and the internet, get out of the publicly crowded spheres, and take walks in the park. Cook food together. Garden together. Take turns rubbing each other’s feet. Don’t talk about “where everything is at,” and instead see what happens without thinking so much. These are some simple ideas, but I think we get the point. Perhaps the most popular Aquarian dogma right now is the idea that everything, absolutely everything, and all seeming differences and duality is nothing more than a projection from the mind of God. The benefit of the “projection from the mind of God” philosophy is that it’s a quick way to detach from the mucky heaviness of the yin: the ego, the body, the drama. In our love lives, this spiritual teaching translates. We cannot constantly tell our partners that their issues are always “their own.” We cannot always tell our partners that their ego is “an illusion,” and we cannot always “breathe” and “let go” in order to grow together. Sometimes we need to work things out, which might mean exchanging points of view and learning and reflecting upon our concrete differences. Although it may seem stressful, and definitely can be ensnaring for our egos (we can get stuck in the drama of a fight), with a healthy balance of Air and Water/Earth in our relationship dramas, we can learn when it’s appropriate to dissociate from our conflicts and when it’s healthy to participate. The astrology of love is no exception. Sometimes we use our birth chart as an excuse for our behavior and our relationship problems. For example, “Well, he’s a Sagittarius; he’ll never commit to anyone, so I’m just going to get used to it.” Maybe you need to find a different partner, or maybe you need to have a conversation with your partner. Surprisingly many Sagittarians need stimulation more than just freedom from commitment. I think we all get the idea. Contextualizing our lives and reality within archetypal frameworks is highly Aquarian, and in a sense so is this entire article. I’m pointing out patterns in an ironically Aquarian fashion. If these ideas take us further into our head and not equally into our bodies and real life then what good are they? So it’s important that even in our love for astrology, and understanding its presence in our relationships, that we check out of all the archetypes and make sure to spend time with two feet on the ground. For the second half of 2012, I wish everyone a healthy marriage of heaven and earth! Are relationship ideas and ideals getting in the way of your real relationships? Tell us about it in comments below. Why Do Some Aquarius Woman Cheat? The Prometheus mythology is a good theme for the “Aquarius” age, and for those who seek to “evolutionalize” the world, society and make it a “better place.” But it needs balance, it needs reality and groundedness. Too much of either one, is not good – just like anything in the world of excess or lack of. The problem with the “airy” Aquarian “thinking” and ideals causes unrest and promiscuity – making excuses and new LAWS because of this unrest. Without the balance of any groundedness, which is very “earth” – the very earth we need as human beings, (Because we do not live in the heavens) it lacks any depth, it lacks anything human. People aren’t “gods” and they’ll never be, but they want very much to attain that status of “god” and sometimes, that is misleading – there are many types of ‘gods’ – dionysius, the god of wine and drunkenness, athena – the god of justice, and so forth. It is my understanding why all of these ‘gods’ exist in mythology created by human inspiration: without the balance of all gods, and keeping it real, each god is pretty much useless. But again, people need to remind themselves over and over again, what is real. And plus, you have to realize, when, as an example, your observation of a couple who has decided by boredom, that they need to have a polymory type of relationship – is usually because of unrest, and BOREDOM, plain and simple. They want more and more. Just like the vices of greed, and lust. Not judging this of course, but just plainly seeing humanity falling again for the usually vices we are all faced with. Everyday, we want to either: 1)lose weight, and sometimes it is too hard, 2)Quit smoking, and many products out there try to help us. 3) Stop drinking and drugs (has it ever worked, percentage wise, even after checking into a Betty Ford clinic? 4) stop the cycle of abuse that was inherited in a person from their forefathers,foremothers, ect. is perfect. Many people have, I”m sorry to say, lack of will in many areas of their life, but they can grow a will, if they continue to follow the paths of balancing their lives- embracing the positive but never forgetting the negatives. P.S. I forget to mention, that those who have strong will power and have “power” positions most often, but not always – abuse their power. Loved this article, relevant and informative. Keep them coming.